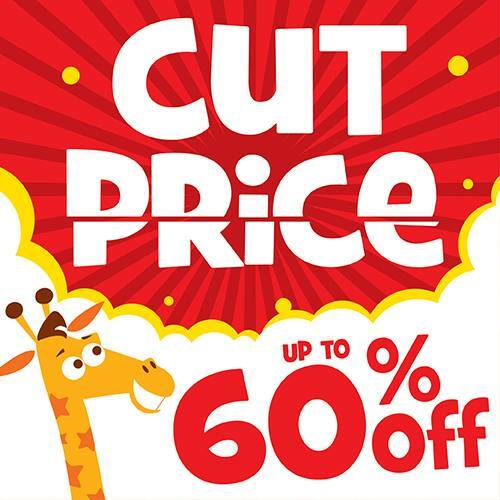 Home > Toys & Games > Toys “R” Us Singapore: MAYDAY Warehouse Sale with Up to 60% OFF Toys from Lego, Hasbro, Mattel & More! 27 Apr - 1 May 2017 Toys “R” Us Singapore: MAYDAY Warehouse Sale with Up to 60% OFF Toys from Lego, Hasbro, Mattel & More! Head down to Toys "R" Us Mayday Warehouse Sale from 28 April to 1 May 2017 for discounts up to 60% on toys from Lego, Hasbro, Mattel and more! If you are a StarCard and Passion Card member, you get to preview the sales on 27 April! While stocks last so dun miss it!